Filmeikers is a film & television production company based in Quito, Ecuador. Putting sustainability at the core of their production activities and ensuring compliance with international standards within their industry and business category are of key importance to the group and its leadership. Filmeikers’ growth is based on its philosophy of quality and excellence in work. This is demonstrated by their relationships with notable agencies such as Publicis, Saltiveri Ogilvy, and Norlop JWT, as well as previous productions for Movistar, Nestlé, Pronaca, and more. 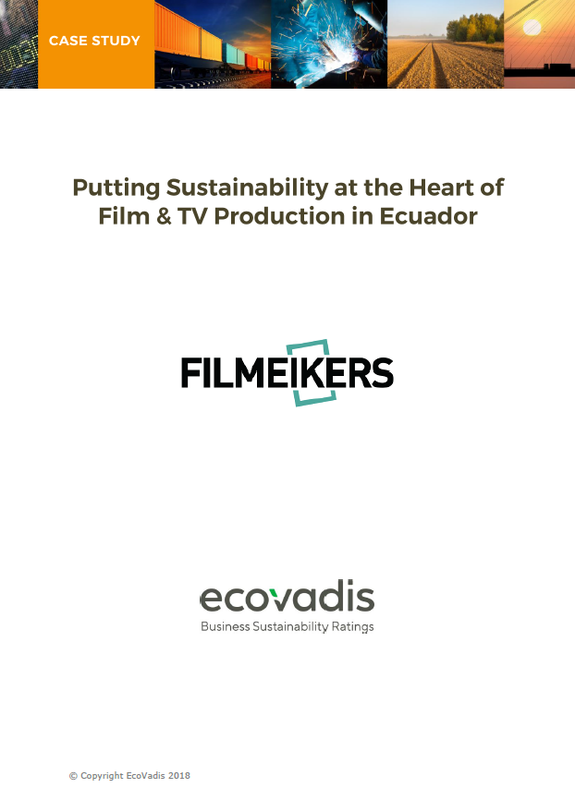 Through the EcoVadis CSR assessment, Filmeikers is working diligently on the improvement areas and is ensuring that the responsibilities to achieve those goals are well defined. They are also engaging their employees to unleash innovations that can help push forward their mission of social responsibility. Download this case study to learn more on how CSR is changing business activities in Ecuador.